'Wikipedia - A Beginners Guide' is the quintessential book for making the most of the World's biggest Encyclopedia. Wikipedia is the fastest growing knowledge base and is considered the best resource for information on anything in the world. 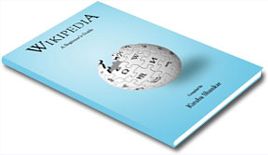 The book covers essential information on how to effectively use and contribute to Wikipedia and its usefulness in education.